Dr. Betty Wambui | Institute for Peace and Leadership, Inc.
Dr. Betty Wambui, Assistant Professor at the State University of New York (SUNY) Oneonta. She is the current ALS (African and Latino Studies) chairperson with a dual appointment in Africana and Latino Studies and Women’s and Gender Studies. 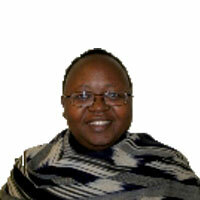 Dr. Wambui received her Ph.D. in Philosophy from Binghamton University (SUNY), and her M.A. from the University of Nairobi. Her areas of specialization within social and political philosophy include African philosophies, feminist philosophies, critical race theories and critical legal studies, social contract theory, and discrimination and morality. She is a member of the Women’s Caucus of the African Studies Association and former President of the caucus. She also served as President of the New York African Studies Association. Her most recent publication is “Testing Conversations: Women, children, goats and land” in Listening to Ourselves: A Multilingual Anthology of African Philosophy edited by Chike Jeffers (2013). For the year 2014-15 Dr. Wambui was on sabbatical with a grant from the UUP/SUNY Drescher Award. She teaches courses including Intro to ALS; Marked Bodies; Race, Class, Gender, Culture; Race, Gender and Law; Gender, Power and Difference; and Transnational Feminisims, among others.